Here are the best Las Vegas shooting ranges! Whether you are looking for wild things to do on a bachelor party or great family entertainment, shooting automatic weapons indoor and outdoor and around Vegas is one of the coolest things to do! All these shooting ranges boast fantastic selections of guns, carbines, pistols, machine guns and all kids of firearms imaginable, and the entire experience is literally a blast! 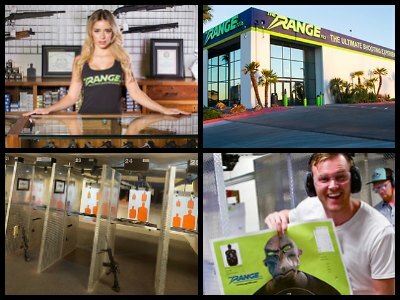 The Range 702 Las Vegas offers an over-the-top, ultimate shooting experience to visitors with 25 lanes and exciting packages to select from. The Range 702 is an indoor shooting facility and the largest of its kind in Nevada. Other than one of the best Las Vegas shooting ranges, there is a retail store, a training classroom, VIP lounges and a cafeteria on site. The facility uses advanced equipment, firearms and technological advancements to deliver an exciting adventure to firearms enthusiasts. Choose from packages like Black Ops, Prohibition, Sniper, Mob Experience and Femme Fatal for a unique experience. Customized packages for bachelor parties and bachelorettes are also available. The Range 702 also offers a number of classes to introduce newbies to handguns, youth classes, care and maintenance, some of which are free of cost. 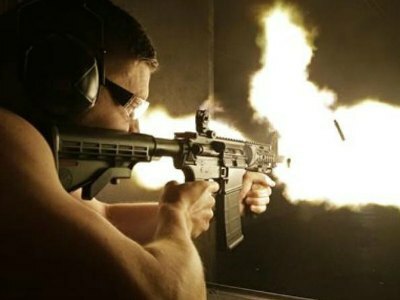 Machine Gun Vegas shooting range is located not too far from the Strip and it offers visitors an adrenaline-packed experience with their choice of unique firearms like M60, Glock 17, AK-47, shotguns, semiautomatic and automatic guns to select from. The facility also offers a customized outdoor shooting experience for large groups as well as one-on-one training in the Las Vegas desert. The facility itself is designed to feel very hip and urban with dim lights, comfortable lounge-like seating and welcoming staff members. The VIP lounge is sophisticated and trendy with two private lanes, a television and a very laid-back, private ambiance. The souvenir shop offers a huge range of merchandise. The packages offered are also quite unique and include Seal Team IV, World at War, Femme Fatale, the Compound experience and more. The Gun Store is an indoor Las Vegas shooting range located 3.5 miles away from the Strip. However, outdoor shooting packages are also available for firing exciting firearms like the deuce, Desert Eagle and the Barrett Sniper Rifle at unique targets and even blowing up cars. 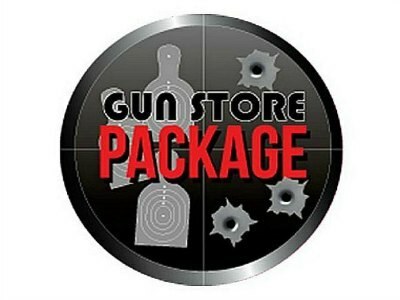 The Gun Store offers a number of good packages to choose from like WWII package, Zombie package, 12 gun package, coalition package and a VIP package that includes personal training, 11 firearms and unlimited beverages. The Gun Store offers customized packages for bachelor parties, bachelorettes, CCW classes and even shotgun wedding packages. There are expert instructors available on hand to help and no permits or shooting experience is necessary to try your hand at the firing range. Become part of the Military and ride through Las Vegas in a Humvee! This exciting Las Vegas shooting range tour will collect you from your hotel and drive you to the shooting range which is a five acre area filled with tanks, helicopters and other military vehicles. Spend time exploring these amazing vehicles, then meet your expert shooting instructor and for a safety and orientation lesson. Choose your shooting package and have a lesson on how to handle the weapons. The indoor range is modern and cutting-edge with all the facilities you need including VIP rooms in which to relax when you are done. Take your target home as a souvenir! Try some target practice in a stunning modern day lead-free Las Vegas shooting range. This tour will have you shooting a 9mm handgun with 80 rounds of ammo, enough to get really good! Your instructor will give you an expert lesson and show you how to load, aim and shoot. Safety is foremost and the range has state-of-the-art facilities. All equipment is included. When you start hitting the target make sure someone is shooting a video for you to take home! Hotel pick up and drop off is part of the package. Choose which weapons you want to shoot on this next Las Vegas shooting range. 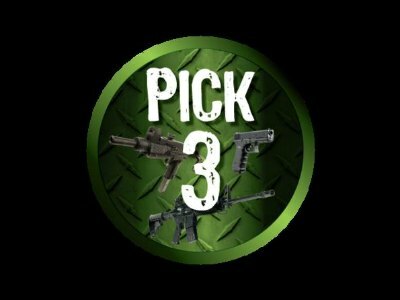 The Three Gun Package allows you to select any three weapons that take your fancy. All equipment, protective gear and ammunition is provided. When you arrive your hostess will discuss the gun options with you. A trained gun expert will then give you a safety lesson and a shooting lesson. This cutting-edge modern range is 100% non-toxic and lead-free. Shoot at your target and make sure you get a video and some photos. Hotel pick up and drop off is included as part of the package. It is not often that you can try out twelve different guns in one shooting experience. This fabulous Las Vegas shooting range offers just that. Located at the Gun Store, the package allows you to shoot a dozen different weapons including a Browning M1919, a M4, a Thompson, a Sten Gun, an AK47, an UZI and more! All safety equipment, gear and ammunition is included. Your experienced instructor will be by your side at all times and will teach you the skills needed for the different weapons. 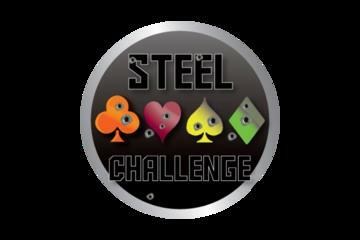 You will have 25 rounds for each weapon, more than enough to become an expert! 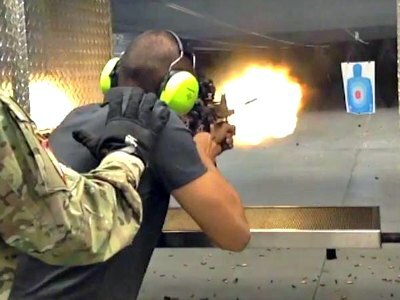 If you still have not had enough of shooting, join this Las Vegas shooting range tour and experience the thrill of being part of a combat operation. The Seal Team 6 Shooting Package offers a chance to shoot a M249 SAW, a Tactical Shotgun and a SIG P226, amongst others. The range represents the real deal and your instructor is a qualified weapon and tactical expert. Feel the power of machine guns in this Las Vegas gun range, dual-mode shotguns and pump-action weapons. End your day shooting the SPAS-12 Tactical Shotgun, even though it is banned in the US, you can still get your hands on one and pretend to be a Seal. Get the adrenaline rush that comes with shooting real guns at this amazing Las Vegas shooting range. It is climate controlled, allowing you a comfortable outdoor experience without freezing or melting in the changing weather. On arrival, you will be introduced to your private instructor who will give you a one-on-one lesson and safety briefing. After getting eye and ear protective gear, you can choose from a range of 50 guns, each one having a story linking it to a famous person, movie, video game or TV show. There are snipers, full-automatics, western guns, big guns and more. Get ready, aim at exploding targets, pull the trigger and try to hit them. You will also be taught how to deal with the recoil from the weapon. Shooting is at your own pace with your safety expert close by at all times. 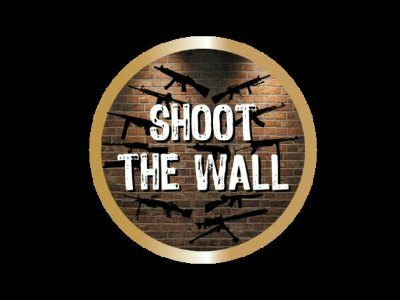 Your attempts will be filmed and when you are a cool-shot you can share your photos or video on social media while you are still at the range. Complimentary coffee in the winter and cold bottled water is provided in the summer. A complimentary limousine transport is part of the package. Depending on the package you choose, you can select to shoot from 3 to 18 different guns in one session. Calling ladies only! Don't be intimidated when it comes to guns. This awesome Las Vegas shooting range offers a ladies-only shooting experience to get you up to speed with your aim, handling of weapons and confidence levels. Take the girls and set off for a day of adrenaline pumping fun. Hotel pickup and drop-off can be arranged. When you arrive, you will be introduced to your personal one-on-one safety instructor will give you the low-down and be at your side throughout the course. The indoor range offers impeccable safety measures and controls. You will learn how to shoot a Glock 17, an MP5 and the famous Pink M4, perfect ladies guns with a lethal feel! Follow your guide on how to stand, aim and pull the trigger, learn about the kick of the weapon and how to deal with it. This experience lasts for just over an hour and you must be 18 years or older. Not recommended for pregnant ladies. If you have now got the feel for a lethal weapon or are wanting a first time experience, join our next recommended Las Vegas shooting range experience. The Tactical Package tour takes place at the Las Vegas Gun Shop. You will be collected at your hotel and driven to meet your personal one-on-one professional instructor. The range is a state-of-the-art facility that is lead-free, 100 per non-toxic and designed for complete safety. Get geared up with ear and eye protection and have a lesson on how to hold the weapon, stand, aim, shoot and deal the the recoil. Targets will be set up and you can fire away under the watchful eye of your instructor and improve your aim. Once you are hitting the targets spot-on, get your friends to snap some pictures or a video to post on Social Media. This package includes shooting 25 rounds on an MP5, 25 rounds on an M16 and 10 rounds on a Sig Sauer P226. More than enough to make you an expert! The day ends with a relaxed trip back to your hotel while you share your experience with others on the trip. If you are beginner and want to get a feel for shooting handguns, this Las Vegas shooting range experience is the recommended choice. Take a group of friends and become gun experts while having a blast. The tour collects you at your Strip hotel and sets of to the indoor range. Here you will meet your one-on-one instructor who will be with you for the duration of your visit. You will be given eye and ear protection and a full lesson on how to use the weapon, aim and shoot. There is a selection of classic guns that you will experience. How about shooting a Glock 17 or the classic 1911? Once you get familiar with these weapons, you will move on to shooting a Ruger and Desert Eagle. Then fire a .44 magnum and .50 caliber ammunition and learn why they are given the spine-tingling name of 'hand cannons'. If you still want more, try out the all-time favorite, the 1919. Safety is of utmost importance and you will always feel secure under the watchful eye of your instructor. When you are done and exhausted, relax on the drive back to your hotel for a well-deserved drink. 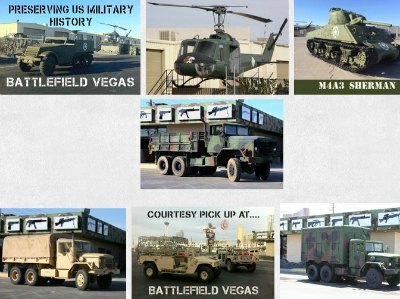 Battlefield Vegas shooting range offers an exciting military battle experience at a 5 acre large facility that has been realistically designed with a collection of military vehicles like jeeps, Humvees, army trucks, M2A1 Halftrack and even Huey helicopters. To make the experience even more authentic, Battlefield Vegas offers pick up and drop services in an actual military Humvee! This Las Vegas shooting range offers a collection of more than 350 machineguns to select from. Try your hand at authentic firearms used in World War I to NATO firearms used in Afghanistan. There are a number of excellent indoor and outdoor packages to select from such as Counterstrike, BlackOps, Cold War and Pvt Ryan experience. Additionally, this is the only Las Vegas gun range Vegas where you'd be able to try the mini-gun firing around 4,000 rounds per minute. When you are searching for more than a day shooting guns then the perfect Las Vegas shooting range for you to visit is Top Shot Las Vegas. Once you arrive at this indoor facility you can ready yourself for one of the most adrenaline filled times of your life. Not only will you shoot incredible weapons but you will use the latest in technology and go head-to-head with your competition. There are four packages you can choose from that range from doing battle with zombies to testing your skills and strategy against your opponents within an electrifying course that simulates real combat. Your weapons of the day will be a Glock .9mm and an AR-15 which are specially equipped to enhance the combat. After putting on a special vest these weapons will record a hit against your opponent and even give them a little shock to remind them. The Top Shot Las Vegas is truly an once-in-a-lifetime combat experience that will leave your heart pumping. The scenarios change depending on group size but this experience is perfect for battling against your best friends. An added bonus is free roundtrip transportation from Las Vegas hotel. 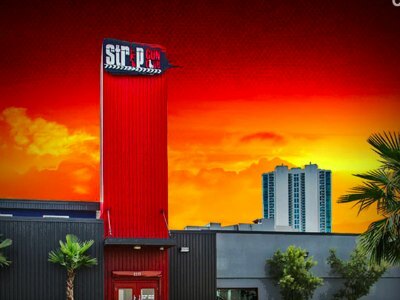 If you are interested in an exciting day or night trying out some of the world’s most powerful weapons then the ideal indoor Las Vegas shooting range for you is the Strip Gun Club. Once you arrive at the 4,500 square foot facility you will have a number of packages for you to select that are superb for all types of shooters whether you are a beginner or expert. Thrilling themed packages will have you feeling like James Bond, a member of a strike force and you can travel back in time while firing guns from the Old West. The Strip Gun Club offers a variety of guns, machine guns, sub-machine guns and sniper rifles for your shooting pleasure. Some of the weapons you can select are a .357 Magnum, a Faxon ARAK-21 5.56 mm, an HK UMP .45 ACP and there is an opportunity to fire a chrome plated M3HB .50 BMG. If you cannot decide on a specific package that meets your fancy then you can create your own by talking to one of the experts onsite. 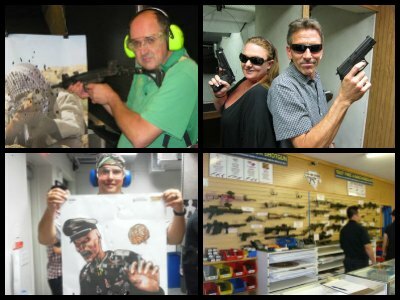 This Las Vegas gun range is perfect for everyone from families to large groups and round trip transportation from your hotel is included in all packages. Whether you are looking for firearm training or to have a good time on the gun range with friends, then T&T Tactical is a perfect Las Vegas shooting range. There are seven packages that you can choose from at T&T Tactical which are tailored for beginners to experienced gun handlers who are looking to shoot some of the most interesting weapons in the world. Some of the handguns you will fire include a 9mm Glock 17 and a FNH-9, before you move on to more firepower like an AR-15, Ak-47 and there are opportunities for you to tryout the IWI Tavor CBQ rifle. 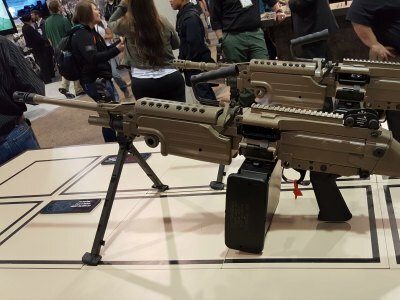 Other packages include such weapons as a Barrett M-90 Long Range Sniper, a Special Operations Assault Rifle FNH SCAR 175 as well as a .338 Lapua Magnum long range sniper rifle. Shooting experience packages range from 110 to 600 rounds with the chance of purchasing more rounds for a specific weapon of choice and hotel pick-up/drop-off service is included. This Las Vegas shooting range also offers shooting packages in the evening where you can watch the stars above while you are zeroing in your target. 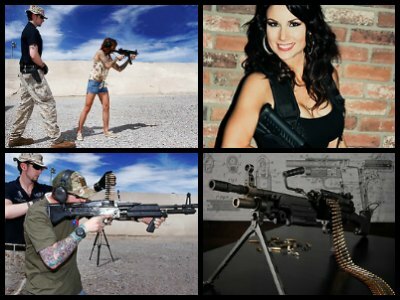 The Vegas Machine Gun Experience is a great Las Vegas shooting range for all types of people including families who are looking to shoot some of the most interesting weapons in the world. 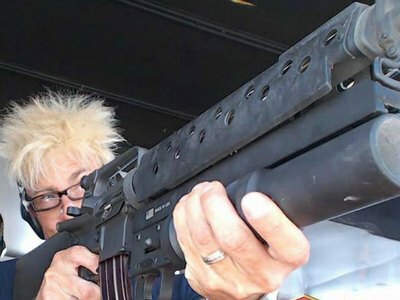 The Vegas Machine Gun Experience has ten different packages that are perfect for novice gun shooters to experts who want to try some powerful firearms. Packages are theme based which adds to the fun and you can experience shooting guns from D-Day during WWII to SWAT weapons to incredible machine guns such as the M249 SAW in one of the military based packages. Other guns you can shoot are a Glock 9mm, an M4, AR-15, MP5 sub-machine gun and there are long range sniper rifles for you to shoot. 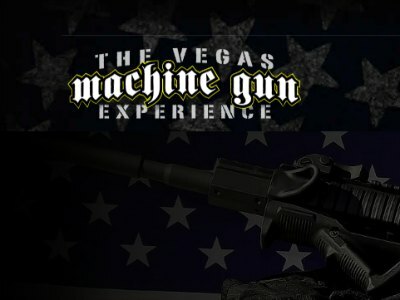 The Vegas Machine Gun Experience also has several fun packages like the Gun Slinger where you can tryout guns from the days of the Wild West such as a Winchester rifle and a Colt45. No matter what package you choose you can always add-on more rounds when you find that special weapon you like. Another added bonus is to this Las Vegas shooting range is the complimentary pick-up/drop-off service from your local Las Vegas hotel.